‘PPP Phobia’ is the latest addition to medical jargon. It is ‘Provincial Police Power-sharing Phobia.’ It has affected many politicians and political analysts in Sri Lanka- these days. Media reported that the Government of Sri Lanka (GOSL) has informed Indian Prime Minister that she will devolve to Provincial Councils (PCs) all powers except Police Powers (PPs). Does this mean the longstanding resistance to sharing land powers is no more? “Irida Divayina’ (1-6-2014) stated that GOSL has intimated that she feared sharing PPs that would disintegrate the Sri Lankan Police to nine units; would pave the way for the Northern PC to establish a Tamil Police Force; and, initiate an ethnic struggle. Since the Northern PC is commemorating deceased Tigers, Provincial Police would prevent investigating terrorist activities, Divayina added. Similar statements were seen in Divayina on 7-6-2014. Tamil politicians also behave as if there is no politics for them without police and land powers. It is also a mistake. They had forgotten the nasty experiences undergone under the Tamil National Police Force established by Chief Minister (CM) Vartharajah Perumal. Irrespective of these they yell for PPs with the assistance of Tamil Nadu CM Jeyalalitha. CM Chandrika Kumaratunga proposed PPs to be given to the Western PC on January 6th 1994. The North and East was a battlefield then. Nevertheless, she demanded from the President the PPs under the Police Commission Act No: 1 of 1990. She believed that it would pave the way for more democratic, law and order administration. (PC Hansard page 13). Incumbent Ministers Susil Premjayanth and Felix Perera (PC Councilors) vehemently argued in support. Minister Premjayanth abiding by Section 4:1 of Appendix I- 1 of the 13th Amendment (hereafter ‘Appendix I–’) stated that there should not be any fear, as it is an institution dealing with “appointments, transfers and disciplinary matters” of Police. (Hansard page 42). The constitutional status remains the same even today. 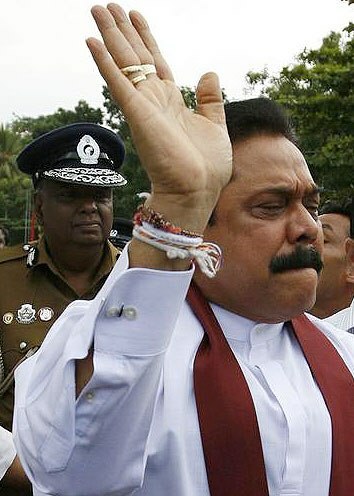 In the name of reconciliation, is not it essential for him to educate Ministers Weerawansa, Ranawaka and Ven. Athuraliye Ratana Thero who campaign against PPs devolution? Then, Councilor Felix Perera stated that the Police are not an Army. Since it remains the same today, can he recommend sharing PPs with PCs? It is more appropriate as terrorism is annihilated; military-power enhanced and security competition is negligible. He argued that proper implementation of PPs in the Western Province would lead to strategizing achievement of peace in the country. (Hansard page 48). However, he will not question why the GOSL does not respond to critics now by proving practicing reconciliation. Ministers Ranawaka, Weerawansa, Ven Ratana and Secretary Defense were not clamoring for PPs with CM Kumaratunga. They are time-bound protestors, free from permanent bondages. Nevertheless, those who supported PPs sharing then cannot be silent. At the Western PC, UNP Councilor Titus Wimalasiri said that certain foreign elements through proxies support terror outfits and suspected whether these groups had been contracted to strengthen Prabhakaran’s hands. (Hansard page 28) Today, Ministers Ranawaka, Weerawansa, Ven. Athureliye Ratana, many journalists, trudge the path of Councilor Wimalasiri expressing the dangers of PPs sharing, using similar terminology- e.g. “foreign elements”, “assisting terrorism”, “foreign influences”, “foreign actions”, “conspiracies”, “Tiger contracts” etc. Councilor Wimalalsiri then reminded of the SLFP leaders who argued in Parliament against the establishment of Police Commissions, and stated that sharing PPs should be objected because it would destroy the unitary status of the country. (Hansard page 27) It is hilarious as the Police Commission Act was a creation of the UNP! UNP Councilor Mahinda Samarasinghe also argued similarly naming Parliamentarians SL Gunasekara and Dharmasiri Senanayaka. (Hansard page 51, 53). Therefore, objecting PPs sharing by SLFP supporters is logical. But, the issue is that a Party that demanded PPs when a deadly war was being fought with Prabhakaran, objecting to it when the latter and his organization had been totally annihilated. Should not they change stances for reconciliation based on new political, social and human security needs and scenarios? UNP formulated the 13th Amendment. But, we do not hear much from them regarding PPs. When heard it is only murmuring. 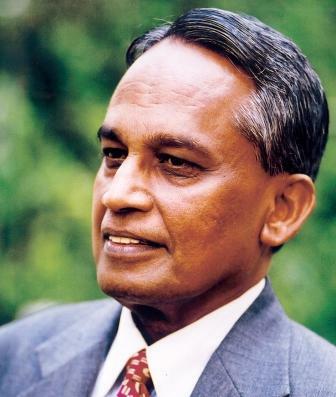 In 1994 Mahinda Samarasinghe, Chief Opposition Whip of the Western PC said that he did not object to the implementation of the Act, but the time to implement was inappropriate. (Hansard page 50). Even today he can repeat so and join Ministers Weerawansa, Ranawaka, Ven. Ratana group. Otherwise, he can join the pro-devolutionists saying it is the ripe time to implement. This demand was initiated by UNP’s North Central Province later. President DB Wijetunga reacted negatively. His denial proved the reluctance of all Presidents to share PPs, irrespective of political leanings. According to The Island (June 6th) Minister Rambukwelle said: “It is PPs as demanded by the TNA that cannot be granted. Traffic police and other powers necessary for administrative purposes could be devolved.” TNA can only demand what is constitutionally grantable. He should look at Appendix I–12:1 if interested in devolved PPs and construct potential operational issues for consideration, rather than being arrogant by making such bland statements. Such statements show the reluctance of GOSL to reconcile, which is the international allegation against her. Incidentally, administering Traffic-laws is a Municipal Police function; not Provincial/ State. If he looks across Palk Strait he will learn. There are queries. Why does not GOSL open a dialogue with India to repeal/ replace laws meant for peacemaking during conflict, due to present inappropriateness? Why does not the Government attempt changing the Constitution while possessing the 2/3 majority? Is it the indirect intention of the GOSL to surreptitiously share PPs with PCs to some extent? With the advent of PM Modi, India exhibited keen interest to implement the 13th Amendment totally. The Island (6-6-2014) quoted Minister Rambukwelle responding that the contentious issue was the TNA demand for a Police Commissioner to be appointed by the Northern Province CM, which could not be granted due to security reasons. If a request to appoint a Police Commissioner is made it can be rejected spontaneously; and, must be compulsorily rejected too, because there is no post of Police Commissioner in the 13th Amendment. Security shelter is hence not required. If he referred to the appointment of the Deputy Inspector General of Police (DIG) for the North, he should remind the TNA that this appointment is made under Appendix I– 6, under which the final authority is the President. Therefore, Minister Rambukwelle need not suffer from nightmares. One positive development after the advent of PM Modi is the open echoing by the left parties (especially the Communist Party), and Ministers DEW Gunasekara, Rajitha Senaratna that powers should be constitutionally devolved to the PCs. But, the National Freedom Front, Jathika Hela Urumaya and defense authorities are against it. Does not this status create an environment essential for the GOSL to reach a consensual decision on these issues? Will the Provincial Police gulp the Central PPs? The provisions in Appendix I– 4:1 explains that it is the administrative powers meant by Minister Rambukwelle that are shared after PPs devolution. Sadly, Minister Rambukwelle has reached the point late, reached twenty-years ago by Minister Premjayanth (Hansard page 42). Appendix I–7 states that the “cadre of Officers and other ranks of each Provincial Division shall be fixed by the Provincial Administration with the approval of the President , having regard to the area of the Province, population and such other criteria, as may be agreed to or prescribed.” [Appendix I–7 (a), (b), (c)]. It directs that the principles shall be uniformly applied to all Provincial Divisions. The salaries are to be uniformly determined by the GOSL (Appendix I–7:2). I believe that an Executive President will not permit free action by a PC in these regard. It is unfortunate to observe such misinterpretation without having faith in a President. But the impression created by anti-devolutionary critics and many media reports is that the PPs sharing will give the power to the Northern/ Eastern PCs to recruit Police officers, as they wished. Fear and emotion are in addition instilled saying such recruits might be ex-LTTE cadres. The humor is that a government that is recruiting rehabilitated ex-LTTE cadres to the Army fears to recruit policemen to a civilian outfit, managed under centrally controlled principles and criteria! It is surprising that the Northern PC/ TNA authorities do not attempt explaining matters to erase suspicions. One may suspect that if clarification is made it may be difficult for them to violate the principles later and hence they value silence as gold. Hence, it is essential to carefully formulate criteria and total management systems. It must be said that it is farfetched to make the CM of North and East a Vishvakarama (Celestial Architect) by ignoring the powers enjoyed by the Governors, given to them by the Constitution and the Provincial Councils Act, to intervene through Statute-making and budgeting/ financing of institutions, with the participation of the Finance Commission. These powers cannot be over-ruled by CMs. On the other hand, financial provision for Police administration is provided through the Budget managed by the Chief Secretary, appointed by the President and this will assist directing Police administration on the correct path. Appendix I–8 clearly lays out that “The nature, type and quantity of fire-arms and ammunition and other equipment for all Provincial Divisions shall be determined by the National Police Commission after consultation with the Provincial Police Commission and uniform standards and principles shall be applied for all Provincial Divisions.” But, the societal thinking is that the Provincial Police Service will haphazardly arm itself, be a challenge to Security Forces and overthrow the government. Is not it an underestimation of the Defense Forces? Of course, when demands for a separate state is being made by the Diaspora, with referendum proposition emanating from Tamil Nadu for the same cause, what is wrong in some suspecting such ‘overthrowing’, at least by breaking off of two Provinces? This strengthens the hands of anti-devolutionists. Another construction is that the Provincial Police cadres will be trained in arms in the manner the LTTE cadres were trained. Though Provincial Police Divisions can recruit the criteria based number of officers, training is done by the National Police Division. (Appendix I– 9:2) Even the uniforms are decided at the center (Appendix I–10). Politicians and media are silent over such details. Many are disturbed by Appendix I–11:1 wherein the Provincial DIG is “responsible to and under the control of the CM” to maintain public order. Critics ignore the fact that the final appointing authority of the DIG is the President (Appendix I–6). Hence, it is essential to identify in advance the role of the National / Provincial Police Commissions (like in deciding on recruitment criteria) in formulating guidelines for smooth operations, if PPs are to be devolved. . It should not be forgotten that Appendix I–11:1 is subjected to qualifications in Appendix I–11:2 that provides for the President to “assume such powers and responsibilities of the CM and the Provincial Administration in respect of public order within the Province as he may, by regulation, provide.” One may counter argue that such order has an ‘expiry-date of 30 days’. Repeating orders in installments until the problems are solved will be the easy way out, in such event! If a more serious situation arises due to “grave internal disturbance” it is possible to act under the Public Security Ordinance, as per Appendix I–11:2 (b). The military has the powers to act in an Emergency. Appendix I–12:1 to 12:4 arranges for further actions in managing Provincial Police. However, the manner in which many behave amount to zero knowledge of the powers given to the President under Article 154J to act under the Public Security Ordinance, on the grounds that maintenance of essential supplies and services is threatened or that the security of Sri Lanka is threatened by war or external aggression or armed rebellion. This lacuna has promoted the convenient creation of a movement against PPs devolution. Critics forget the normal powers in the President to engage military under difficult circumstances. They forget the inability to question President’s action in any Court, based on the Proclamation under Article 154J. They little realize that the hands of the Government can be reinforced against demands by the TNA or any other regarding engagement of Security Forces in any part of the country, on grounds of potentially suspected threats. We do not hear this argument emanating even from the defense authorities. Under these circumstances is it fair to be scared of Provincial Police gulping down the central police powers? However, since these fears are persistent, it will be essential to formulate clear guidelines on central and provincial actions. It is important for both parties to understand that the Provinces are an arm of the State machinery, and the system requires sharing and not grabbing powers. The preparedness of the TNA and Government to be detached from extremist separatist politics is important. The provincial authorities must keep in mind that misuse of PPs will force engagement of military might for which PCs cannot object. Really they have to cooperate. In addition, the PCs crossing the red-line must keep in mind that the worse pressure would be applied on ‘rogues’ by using Article 154L at times of “failure of administrative machinery”. It is not a difficult task, for which a report from the Governor or any other is sufficient for the President to initiate action. How easy is this for a President! Newsmakers rarely discuss this quoted list in ‘Appendix I- Schedule’. Many experts and journalists seem not to know that policing of offences against the State, President, Prime minister, Tri-Forces, related to elections, currency, stamps, stated officials, property belonging to State or a statutory authority, prejudicial to national security etc. anywhere in the country (appearing under 11 subheadings) are reserved to the National Police and the Provincial Police does not have any powers to intervene; not at all. Similarly they do not seem to know that powers extended under Appendix I- 11.2 (a), (b), 12:2, 12:3 and 12:4 endow wide powers to the National Police to intervene/ share responsibility for police action during given situations. When the above are considered it is quite obvious that almost all political, administrative and journalist personalities have been playing Jekyll and Hyde on PPs devolution. It had helped them to hide the truth and project a -PPs-Sharing- Monster’. Land powers are directly related to people and hence peoples’ and politicians’ involvement. PPs reach through a civilian channel. Tamilnet news on both these powers publicize that the Government had acted nastily. In southern media the potential of nastiness by Northern/ Eastern PCs is publicized. A 27 year war could not give a better dowry of suspicion to the society! Whether they are right or wrong it is essential to explore solutions for field application. To identify another reconciliatory solution than land and PPs devolution will be useful for universal dialogue. What the national political parties do negatively will force minority political parties and minority communities to compulsorily find underhand solutions. This is why India and Tamil Nadu continually pinch Sri Lanka. It hinders compromising and reconciliatory State craft space. It will be more beneficial to focus on new approaches, thought out of the box- rather than to play Jekyll and Hyde, especially with regard to Appendix I- 12:1 and 12:2, where the crux of PPs devolution lies. One way is to recapitulate whether the solutions meant for a warring past is equally applicable during peace times. Another may be to discuss realities with India having dissected good-bad of sharing PPs, evaluating political support for devolution, without dependent on the all-curing Parliamentary Select Committee. It should be done before PM Modi forces us to take forced, unsolicited decoctions. Since implementation of the Constitution is the responsibility of the Government Opposition political authorities may leave the burden on the Government. To avoid such situation it may be useful to create a multi-party consensus and to carefully engage them in formulating out-of -the- box managerial solutions, guidelines and systems. Another alternative is to “test” PPs devolution in another PC and obtain positives and negatives of the operation which could help in future engagement. Sometimes, time is a good healer! Focused thinking is always better than haphazard action which creates new problems. If we leave all these in the hands of “all knowing” authorities we may end up becoming kids who are forced to take bitter medicine. Sri Lanka need not face that. What Options If There Is No Common Candidate: Is Ranil Hell-Bent On Wrecking SI-CC? The main problem is that not only the present government but the entire political set up in general including the constitution are based on anti devolutionary policies. Basically, in the South there is no political WILL to devolve power. Had there been one, they would have safely experimented with PPs in one of the P. Cs in the South long ago! In India, there have very healthily shared PPs over 29 different States speaking different languages. So why is it going to be so hard in Sri Lanka with only nine provinces and two languages? It is nothing but a matter of political WILL to share power! There was no force called Tamil National Police Force under or organised by the erstwhile North-East Province. There was only Citizen Volunteer Force approved, armed and paid by the SL Government to support the functions of the Provincial Council. Once the alliance began between Premadasa and Pirabakaran, Tamil parties including EPRLF recruited, of course largely by way of conscription, a few thousand boys, trained them with the help of IPKF which named it as Additional CVF and was named as Tamil National Army by the Tamil Parties. However, it was never under or organized by the Chief Minister or the NEPC. The CM might be charged with indirect responsible for it as a member of EPRLF and not as CM. 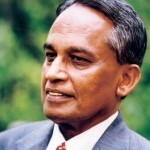 During a Security Committee meeting held in 1989 Oct – Nov. months, to mitigate / compromise the situation the Chief Minister requested the Secretary Defence Gen. Attigale and the Army Commander Gen Vanasinghe to accommodate the ACVF formally into the SL Army, for which IPKF Commander Gen Kalkat also consented, but SL officials rejected it with the reason of their physical quality, educational qualification and the recruitment system. However, they agreed to add and regularise them into CVF, but it was not done. All were tactics of SL Govt then to delay till IPKF leaving and in the mean time Premadasa and a section of his Army helped LTTE by all the ways and means to annihilate EPRLF men and destroy all the infrastructure including human resources of the NEPC. This is the truth. Please don’t limit your learning only with Premadasa’s and Pirabakaran’s campaigned History but search and find truth with questions and queries from available honest persons who involved or engaged in directly with NEPC, because in those days no SL media prevailed the truth but only campaigned, pro-LTTE or Anti-IPKF. Police Powers to P.Cs will be a wonderful idea,even without any political angle to it, The P.Cs police carder will be chosen from the same areas and it will be difficult for those officers,traffic policemen to indulge in the usual corrupt. bribing and political malpractices, in their home towns,for the fear of their families,children being humiliated in schools and by the society at large, in their own home towns. Also another significant reason why we should support this devolution of police powers, is that free movement of underworld ring leaders and corrupt politicians, including the drug dealers will be restricted when they cross to another police area. A politician from kalaniya, Gampaha will not be able to throw his weight, in Anuradhpura or in Badulla, or the v.v. This is the main fear other than any other reason projected by the sub standard law makers. The articles that are written by Austin Fernando say that Under Austin Fernando, he as the Secretary to the defence Ministry, would have never won the war against LTTE. That is exactly what happened. All this ‘devolving’ of powers whatever whatever whatever doesn’t matter one pat of cow dung IF the force remains the corrupt, spineless and incompetent mess that it remains in today. Time after time we have seen with eyes wide open our forces of law and order ‘turn a blind eye’, ‘look the other way’, ‘pretend to scratch their crotches’, etc etc etc whilst all around them evil buggers create unlawful mayhem and criminal acts. The latest was last Sunday in a sleepy town down south. Never mind bloody devolution – first of all create a force fit for purpose.